This month our Director of Mission and Public Policy, Lizzie Wittig co-hosted “The Last Battle,” a podcast series focused on highlighting community leadership, advocacy, science and therapies in the battle against breast cancer. 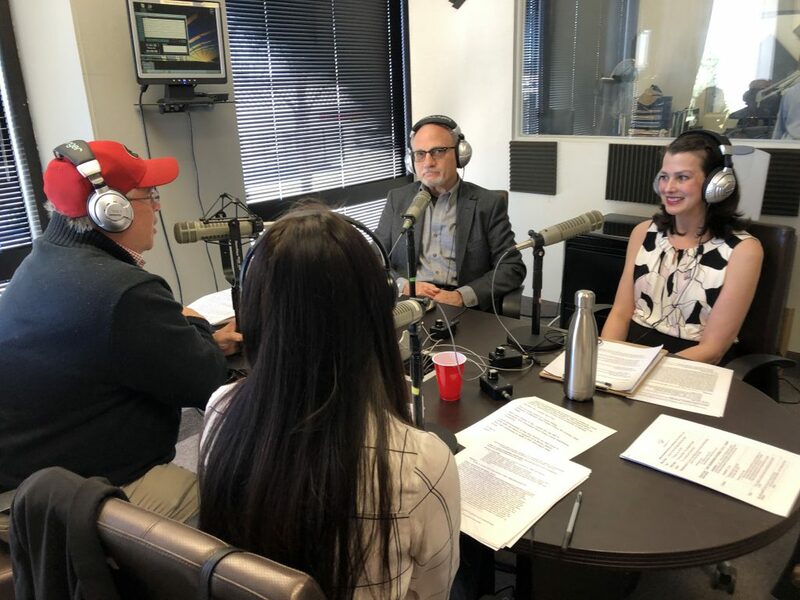 Host Charles Parisi and Lizzie Wittig were joined by Komen Scholar, Dr. Geoffrey M. Wahl, and Breast Cancer Survivor and Patient Advocate Bianca Kennedy to discuss the latest in the quest to find a cure. Listen to “The Last Battle” podcast to hear all about it and join the conversation. (Pictured from left to right) “The Last Battle” Host Charles Parisi, Co-host Lizzie Wittig, Komen San Diego’s Director of Mission and Public Policy, Komen Scholar Dr. Geoffrey M. Wahl, and Breast Cancer Survivor Bianca Kennedy.